Ascending and descending the contours around Kill Creek, with meadow views and creek crossings, this medium-length trail with easier and more challenging loops provides a secluded nature experience within an accessible, developed park. Trail Crew: Urban Trail co.
Lexington Lake Park opened in July of 2017 with 2 miles of beginner friendly single track. Volunteers are hard at work on the next phase and have another mile almost ready to be opened. Rose, the beginner friendly loop, roughly circles a beautiful prairie while going through several incredible rock walls. Look for the glacial erratic on the west leg of the Rose loop. The trail under construction now is the Emerald trail. It will pass by a 120+ year old dry-laid stone culvert. Bluffs along the north edge of the park have potential for some incredible mountain bike trails, so the best is truly yet to come! Weaving through valleys with woodland views, this trail system is the place for the lover of flowing rocks and roots. Located in the state’s busiest regional park. These rolling trails wind through the wooded hills both on the east and west side of Wyandotte county lake. While the trails are primarily fast flow there is some small sections to get yourself some rock fun. And the OZ Experts only section is a great place to start learning to get you tires of the ground with your buddies. The trail system also features quick access to Park shelters and other facilities. 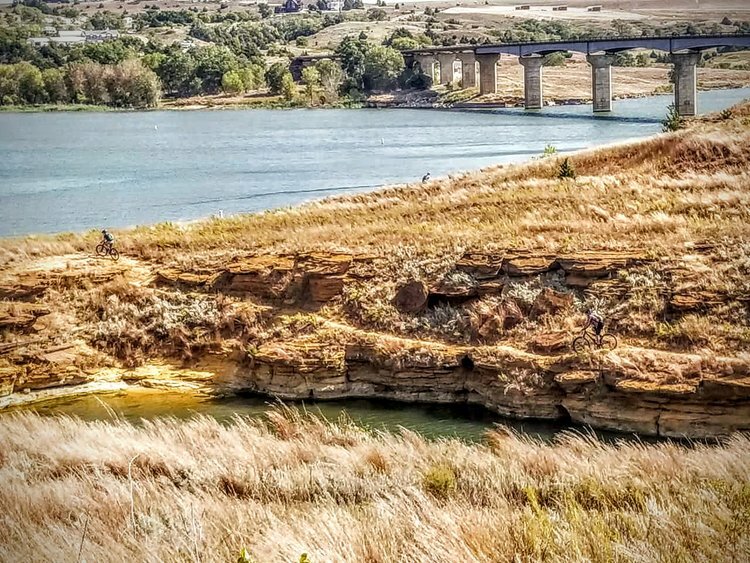 This is the only Epic trail between the steamy Ozarks and the majestic Rockies, the frigid North Dakota Badlands and the blistering desert of Big Bend on the Rio Grande. Switchgrass is smack dab in the middle of Kansas, on the shores of the States most beautiful lake! This trail heads through Fancy Creek (Tuttle Creek) State park. 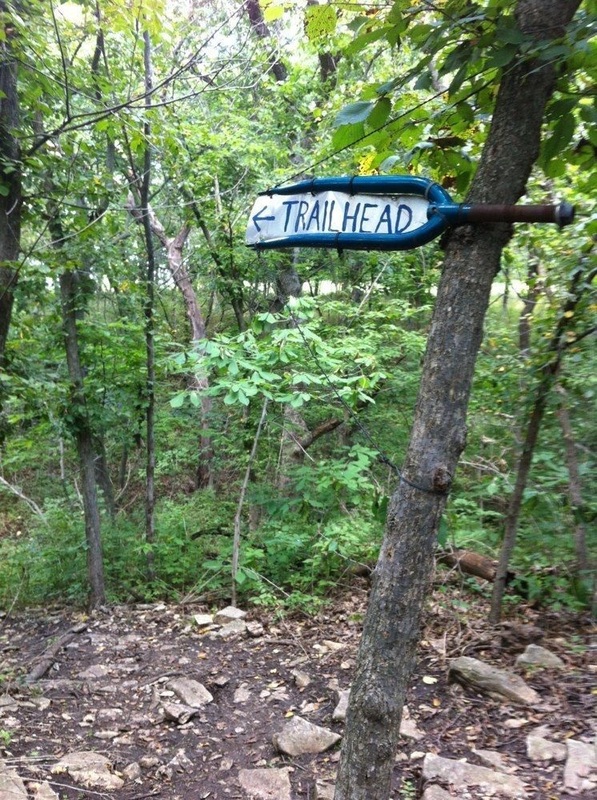 The trail is mostly singletrack through the woods. There are tight turns and rock formations that increase the difficulty of the trail. Copyright Notice: Except where otherwise noted, the contents of this web page are Copyright © 1992-2018 EarthRiders Mountain Bike Club. All rights reserved. Please read our privacy statement.